Of all the small renewable energy systems around, a small hydro system – where it’s feasible – may be the most cost-effective and reliable. If you have running water on or near your property, you may want to consider investing in a micro-energy system. 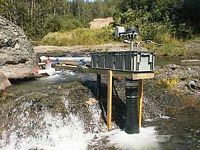 As with other renewable energy systems, micro-hydro systems can be free-standing, hybrid or grid-integrated. 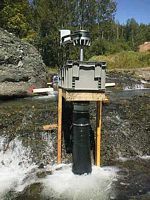 A micro-hydro system very simply takes the energy available from a falling stream of water and converts it into usable electricity.